Hi all, I have a card to share with you today! to work in another location within the service. but, I'm looking forward to working with the next person too! our knitting projects, stories & the likes as well as social occasions! Of course I had to do a knitting themed card! little bead on the end. I filed down the sharp points a little. I rolled the wool into a little ball & added a strip of paper as a ball band. Thanks so much for looking, I hope you like it! Oh my goodness! This is so sweet and I know she'll cherish it always! I can't believe you actually did knitting with cocktail sticks, Dawn! How incredible. And what a darling card for a friend who shares a love of knitting. So creative! 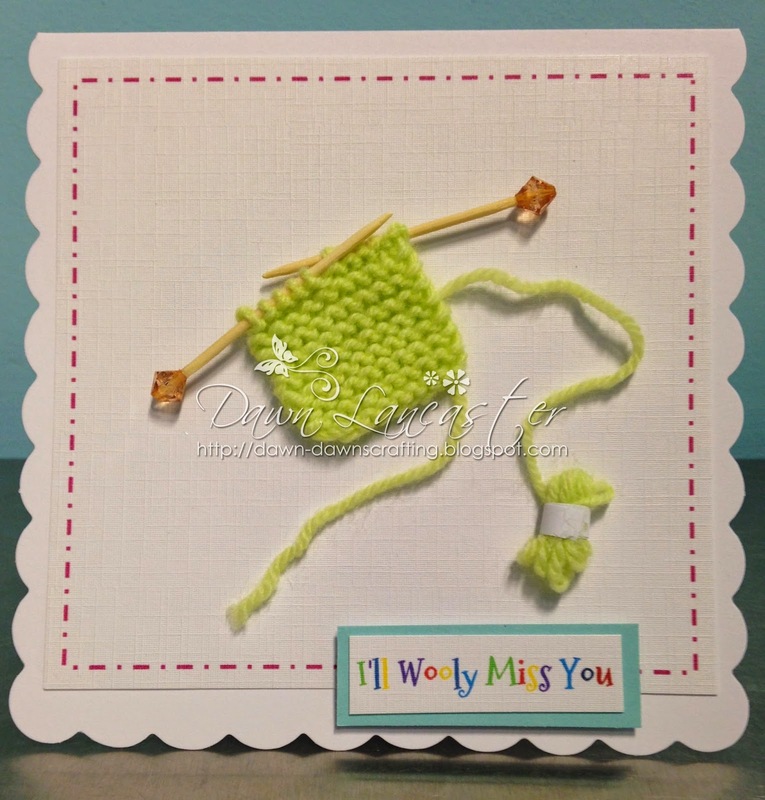 This is a brilliant knitting themed card Dawn, it sounds perfect for your friend, such a fun sentiment. Oh goodness, how adorable and fantastic! 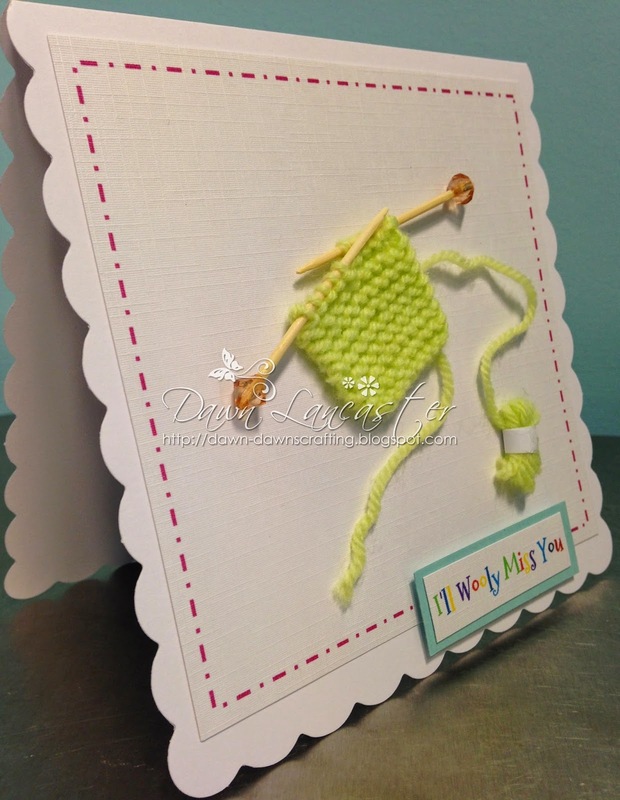 Your friend is going to love that you took the time to actually knit her a card, wonderful idea! This is beautiful Dawn - love the cute small knitting! I'm sure your friend will love this card! Wow, this is fab Dawn. I am sure your friend will adore it.